Information Extraction (IE) refers to automatically extracting structured relation tuples from unstructured texts. Common IE solutions, including Relation Extraction (RE) and open IE systems, can hardly handle cross-sentence tuples, and are severely restricted by limited relation types as well as informal relation specifications (e.g., free-text based relation tuples). 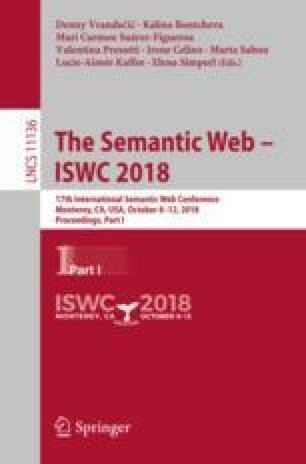 In order to overcome these weaknesses, we propose a novel IE framework named QA4IE, which leverages the flexible question answering (QA) approaches to produce high quality relation triples across sentences. Based on the framework, we develop a large IE benchmark with high quality human evaluation. This benchmark contains 293K documents, 2M golden relation triples, and 636 relation types. We compare our system with some IE baselines on our benchmark and the results show that our system achieves great improvements. W. Zhang is the corresponding author of this paper. The work done by SJTU is sponsored by National Natural Science Foundation of China (61632017, 61702327, 61772333) and Shanghai Sailing Program (17YF1428200).